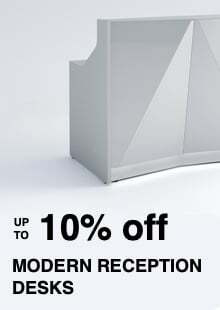 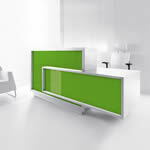 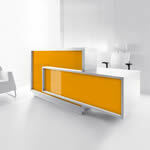 Inspired by Cubism the form is constructed by dovetailing rectangles that fulfill the task of aesthetics and functionality. 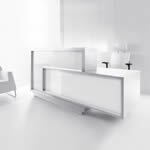 The varied size of elements allows to serve guests in a sitting or standing position, which is also a convenience to people with disabilities. 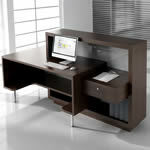 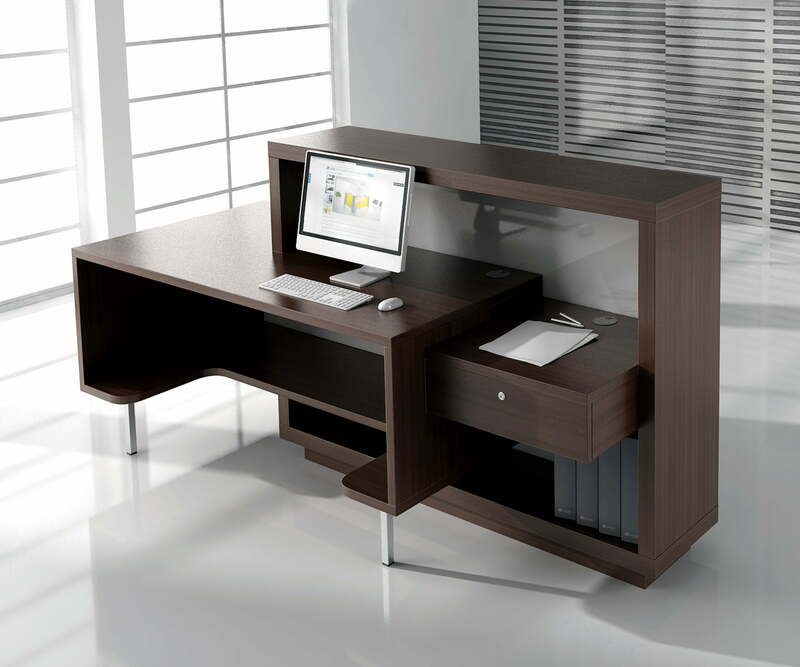 A higher front creates a comfortable place for storing documents. 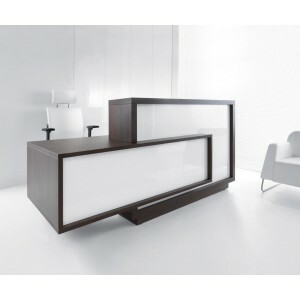 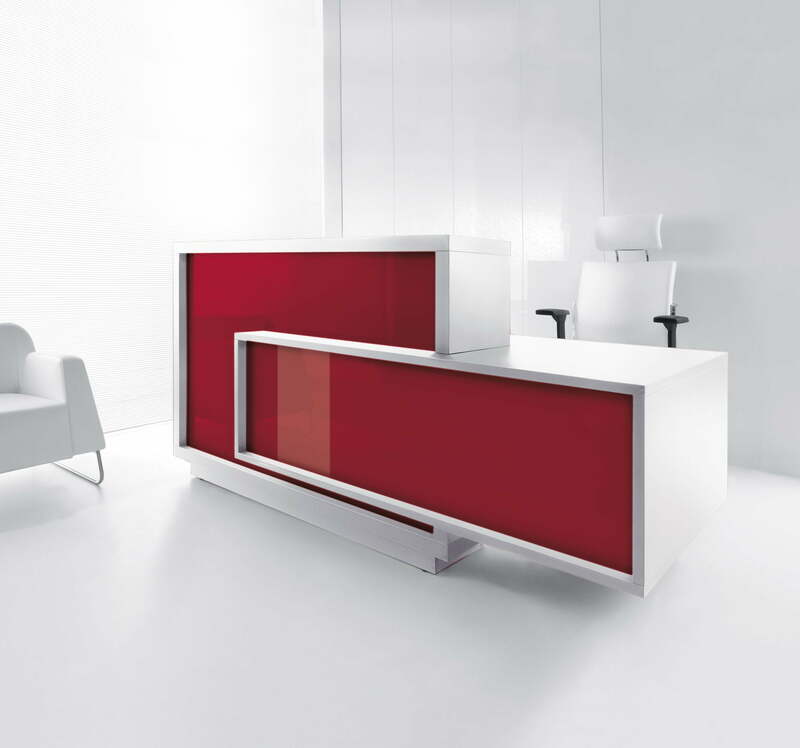 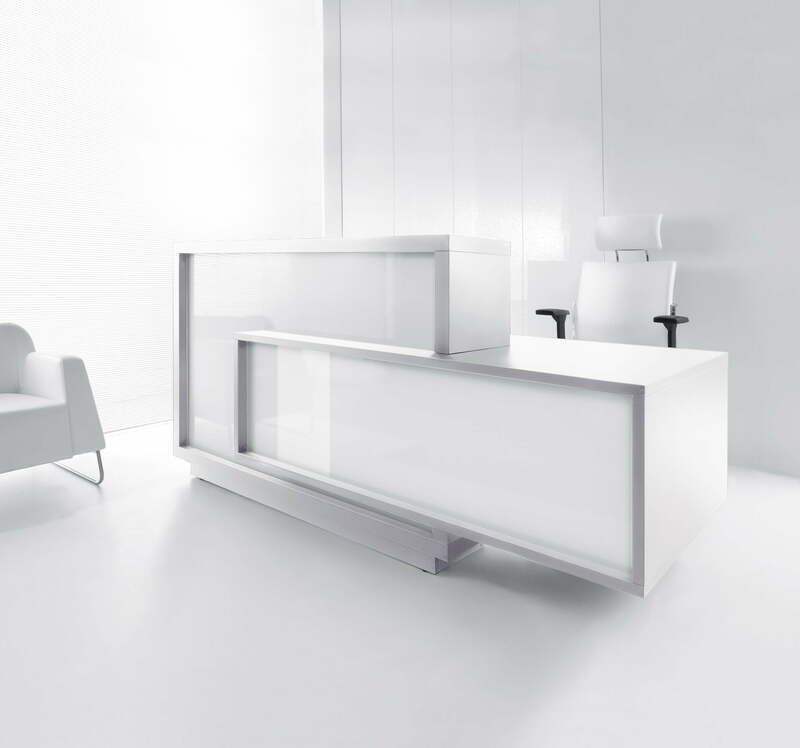 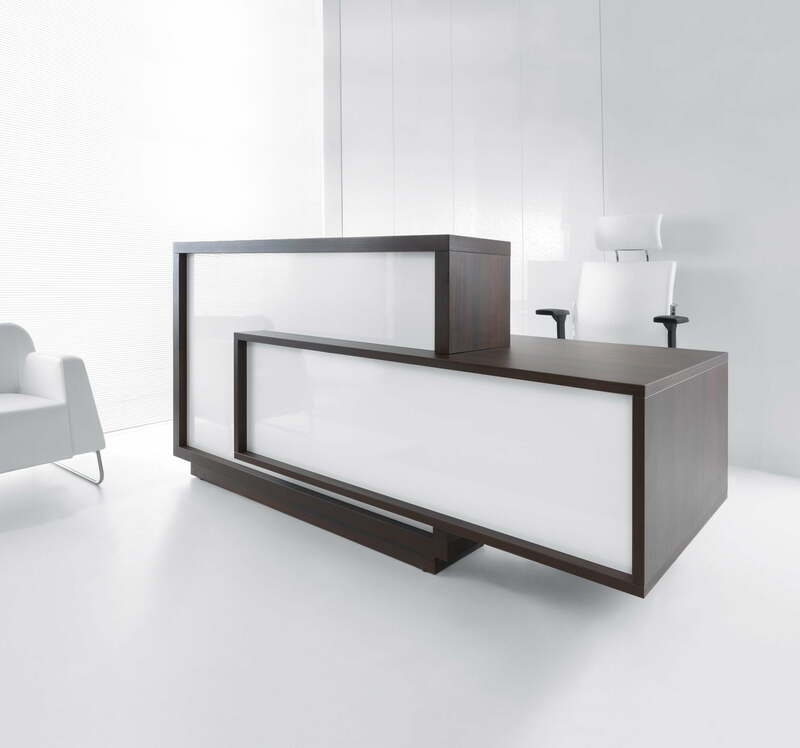 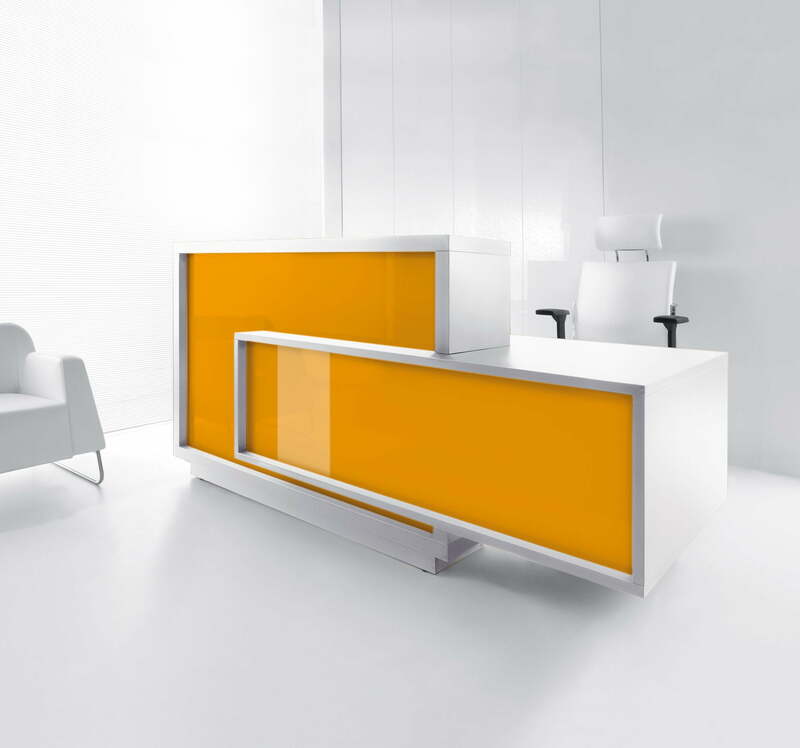 The Gloss surface contrasts with the matt finish of the body, the universal styling causes Foro to agree with various interiors: ranging from a beauty salon to a legal office.